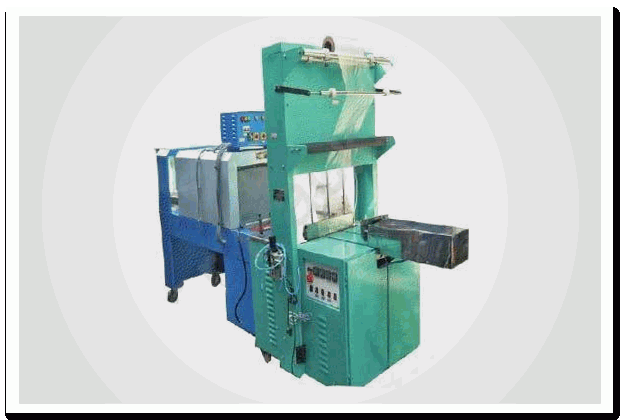 Web Sealer With Shrink Tunnel|manufacturers and suppliers,in Mumbai,India. Our technologically advanced carton packaging machines are specifically designed for packaging of cartons. The thin walled or water proofing covering provided on the cartons acts as an additional reinforcement. It increases the strength of the cartons and enables them to sustain rough handling. Channel sets, filter assembly, fabricated body and rollers are some of the parts of the carton packaging machine. The adhesive tapes and films used for the sealing purpose are easily adjustable and impart secure sealing from both top and bottom of the carton. Depending on the size of the carton to be sealed its height can be adjusted for efficient performance. Our technologically advanced carton packaging machines are specifically designed for packaging of cartons. The thin walled or water proofing covering provided on the cartons acts as an additional reinforcement. It increases the strength of the cartons and enables them to sustain rough handling. Channel sets, filter assembly, fabricated body and rollers are some of the parts of the carton packaging machine. The adhesive tapes and films used for the sealing purpose are easily adjustable and impart secure sealing from both top and bottom of the carton. Depending on the size of the carton to be sealed its height can be adjusted for efficient performance. Carton sealing machine is used to seal cartons in industries such as home appliance, textile, food, general merchandise and many more. We are recognized as a prominent manufacturer and exporter of packaging sealing machines such as the web sealer with shrink tunnel. Our web sealer with shrink tunnel is a technologically advanced machine used in packaging of cartoons. To resist rough handling of the machines, water proof cover are provided by so as to make the cartoon packaging extra strong. To assure secure sealing from top to bottom, the web sealer with shrink tunnel makes use of easily adjustable adhesive tapes and films.